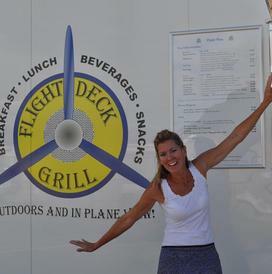 Flight Deck Grill is a mobile cafe home based at the Vance Brand Airport in Longmont, CO. We offer breakfast and lunch in a fun, outdoor, and nontraditional entertaining setting. Our menu items have catchy aviation names which pretty much translates to good old grilled American food. Come try the Top Gun Burrito in the morning and return for the Single Engine Angus Burger or Slurry Bomber Float in the afternoon. We are open 7:30 - 2:00 Wednesday - Sunday, May through October, and since we are 'Outdoors & In Plane View', if the skies are clear, we'll be there. 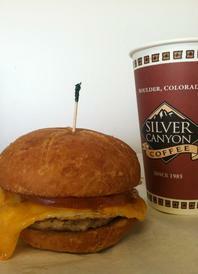 Whether by foot, bike, car, plane, hot air balloon or parachute, come by and fuel up while taking in Longmont's best view. See you soon. And remember your ABCs.... Appetite, Binoculars & Camera!